Optimisation – 12 years ago it was something an engineer would have had to explain about an obscure industrial function. Today, it’s a keyword in everyone’s daily vernacular, and (rightfully) an obsession for online marketers and retailers the world over. The thing is, it’s really not too much of a world away from the heady post war advertising years. Back then, companies and advertising agencies hit on two big ideas. Firstly, that you could try to improve the popularity of a product by testing it on small consumer groups, leading to the birth of the market massaging focus group. Secondly, as agency fees got bigger, companies wanted to see a return on their significant marketing spend. So it was that advertising agencies now had to measure their success: how many times products were bought in a period after a campaign; how many mentions the campaign itself may have had in national media and so on. 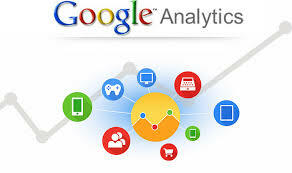 This is where Google Analytics makes the modern marketer’s job that much easier – and much easier to measure. Google Analytics essentially offers you a huge, free, global focus group, all from your chair. No more summoning (and paying) pedestrians or sourcing your target market for a long lunch. Instead, marketers can, at a few strokes, find out exactly what channels people used to locate a client website, leveraging the information to try and drive more traffic. This basically gives campaigners the chance to refine keywords in real time for better page rankings, rather than waiting weeks for mentions and results in other media. Better still, Google Analytics makes it possible to see exactly how many visitors are there because of the campaign itself – all without you even having to ask. Companies and marketers have simply never had such access to such totally honest market responses, making it an exceptionally powerful tool. Digging further, it becomes obvious that the ability to measure the productivity of each marketing channel (including what gets the all-important conversions to online stores) means that genuine efficiency becomes possible across a business’ operating spectrum. If a particular activity just isn’t getting results, departments know it so much sooner, saving valuable time and resources. Yes, there are other (paid for) analytics programmes out there, but Google Analytics remains a trusted source that’s easy to integrate and hard to beat.